Enjoy a simple, hassle-free way to buy, sell, or finance your car. Whether you’re in the market for a new car, selling your old one, or looking for the right car finance plan, eCarz will find you the best deal available. We know how stressful buying or selling a car can be, our Brisbane based new and used car brokers will gladly do all the work for you. We’ll take care of everything to secure the deal you want, from finding the right dealer to negotiating and closing the deal. No matter what type of car you’re after, eCarz will help you find and land the best possible deal. 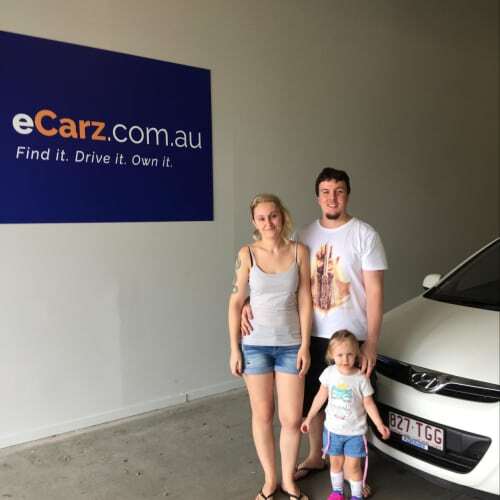 Buying and selling your car has never been as easy as it is with our Brisbane car brokers at eCarz – and we’ll always keep it that way! Ready to find the best deal out there? Talk to our car brokers in Brisbane to get started. Turning to the services of a car broker is the secret to making buying and selling cars hassle-free. eCarz is here to ease the burden and give you back your free time. Finding the perfect car is easy, but buying it is something else. Whether you’re buying a new car or searching for a used one, eCarz can help you land the right deal and get the most value for your money. Selling your car can be a long and stressful process, especially if you don’t have the time and expertise to do it properly. Skip all the work (and headaches) with eCarz. Looking for car finance that offers the right fit for your needs? At eCarz, we’re not just car brokers, we’re also car finance experts! Every Time. Whether you’re a private buyer or a company, with our wide network of car dealers, buyers, and sellers, we will always find you the best deal on the market. Enjoy More Time for Yourself. Sit back and enjoy your time off while we do all the hard work. When it’s time to close the deal, we’ll let you know so that you can sign off on it. We work on a flat fee based on the value of your car deal, so you’ll always know what you’re getting in the end. With eCarz, there’ll be no surprises cost-wise. We know industry regulations (and car dealers’ favourite techniques) like the back of our hand, so we can recommend the best options for maximising your savings and getting the best value from your deal. We work independently of banks, lenders, and car dealers. YOU are our priority, and our focus will always be to get you the best deal out there – as it should be! When it comes to buying, selling or financing a new or used vehicle, there’s no better place to go to save yourself time and money than eCarz. Contact us today to get started.